Wales Rally GB is well known for its tough stages and slippery conditions. These conditions catch out the best drivers in the world. And 3 of the top boys have been hit hard by the Rally. On Day 2 of the rally, Ex F1 driver Robert Kubica, who is making his debut in a top World Rally car with Citroen this weekend, hit the stages hard, and the tress even harder. On the opening stage on Friday, the Pole went off the road, ending upside down. Talking to WRC.com, Kubica said. “I misjudged the grip on the braking,” he told wrc.com. “I think I made a mistake not noticing the mud on the surface, and when I braked I just locked the front wheels. I tried to recover it with the handbrake but we ran out of road. It was quite steep and we ended upside down. Kubica’s car remained by the stage for most of the day, because its position made it too dangerous to recover while the WRC and national rallies were using the road. Citroen will assess the condition of the car when it is brought back to the team’s service area in Deeside before deciding whether or not Kubica can restart as a Rally 2 entry. 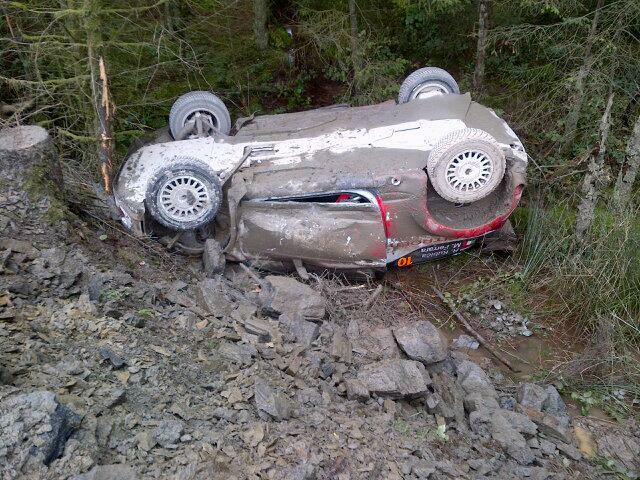 Two stages on and another Citroen driver struck the forest even harder. 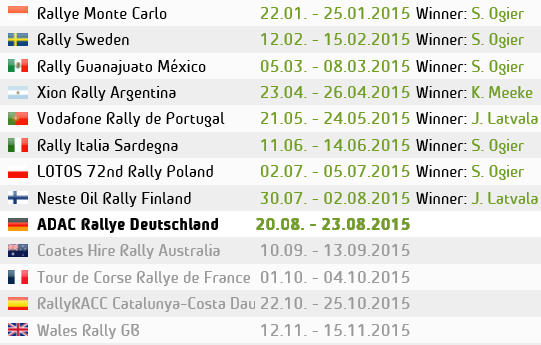 Mikko Hirvonen rolled out of the rally on SS6. The Citroen Total Abu Dhabi team duo were placed fourth after Friday’s second stage, but crashed heavily near the end of the third, the 32km Myherin. Lehtinen has co-driven Hirvonen since the pair made their WRC debut in 2002 and took full responsibility for the error. Kubica was able to re-star this morning (Saturday) But the damage on Hirvonen’s car was to great and he had to completely retire from the event. A new day, a new challenge. And New drama. Kubica is reported to have Rolled again on the opening stages of the rally, both are ok. On the following stage It was M-sports Evgeny Novikov who also crashed out of the rally while in a battle with mikkelsen and Ostberg.